Used as an in-car hands-free system, Siri causes a high level of mental distraction while driving, according to research conducted by the AAA Foundation for Traffic Safety. In a thorough study [PDF] that measured the cognitive workload of 45 drivers completing in-car tasks using various voice-based technologies, Siri's high complexity and low intuitiveness resulted in some of the highest levels of mental distraction. Using a five-category rating system, researchers measured Siri-based interactions like sending and receiving text messages and emails, updating Facebook or Twitter, and modifying calendar appointments. 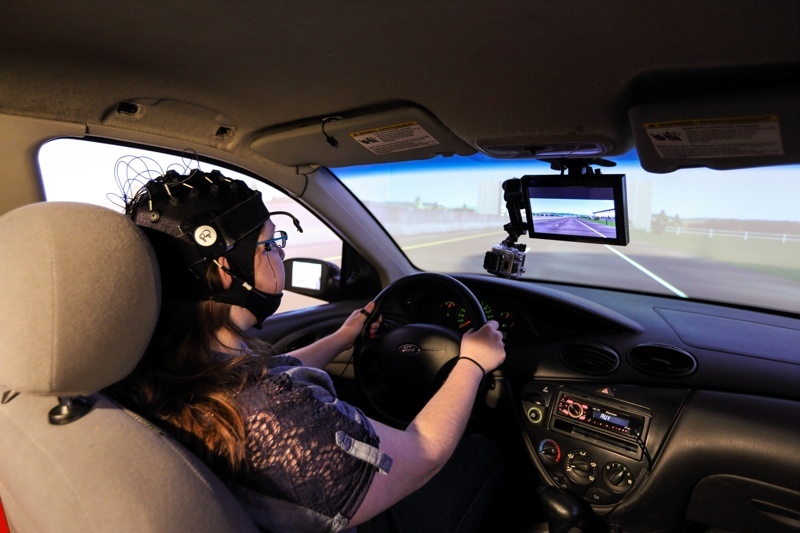 Various measurements to record distraction were taken during three separate experiments, in-car on residential streets, without driving, and in a driving simulator. Researchers tested Siri on an iPhone 5 with iOS 7, using a microphone and voice commands to make the setup both hands-free and eyes-free, with drivers unable to look at or make contact with the phone. Siri was found to produce the highest mental workload on the researchers' scale, and use of Siri in a car even resulted in two crashes during the simulator study. It was also given the lowest rating of intuitiveness along with the highest rating of complexity, due to its lack of consistency and its inflexibility when it came to voice commands. Common issues involved inconsistencies in which Siri would produce different responses to seemingly identical commands. In other circumstances, Siri required exact phrases to accomplish specific tasks, and subtle deviations from that phrasing would result in a failure. When there was a failure to properly dictate a message, it required starting over since there was no way to modify/edit a message or command. Siri also made mistakes such as calling someone other than the desired person from the phone contact list. Some participants also reported frustration with Siri's occasional sarcasm and wit. According to the researchers, interactions with Siri may improve over time as the voice assistant is able to learn accents and other characteristics of a user's voice, but many commands resulted in overly complex interactions that could be fixed via "improvements to the software design." Though the AAA study looked at the distraction level when using Siri directly on an iPhone, it did not look at CarPlay, Apple's new in-dash system that the company says is a "smarter, safer way to use your iPhone in the car." Other similar in-dash systems did, however, result in high levels of cognitive workload in a companion study, but cognitive demand varied highly based on the number of comprehension errors and the number of steps required to complete an action. Early CarPlay reviews have suggested that the system's Siri integration is improved compared to Siri on the iPhone, as it was judged to be easy to use with simple menus and navigation. The study comes ahead of a set of voluntary guidelines the AAA is planning to create, encouraging users to minimize their cognitive distraction by cutting back on the use of voice-based technologies while driving. According to the AAA, voice-based interactions within a vehicle result in "significant impairments" to driving that may "adversely affect traffic safety." well there is your problem. Was the applicant FAMILIAR with Siri? i turned off siri as soon as i took my phone out of its packaging. Don't forget to put tin foil on your head. Why did i never see a study like this on SYNC by Microsoft or Android Auto? I prefer people don't even talk on the phone while driving (even bluetooth)... no matter what you say, it's an unnecessary distraction. Seriously? THAT'S what you tested? The only thing on that list I would actually do in the car is send a text, which is extremely easy. "Tell Bob I'm on way." Why not test map navigation, which is equally simple? "Take me to Panera Bread" or "Take me home"
Why not test music? "Play my Driving playlist"